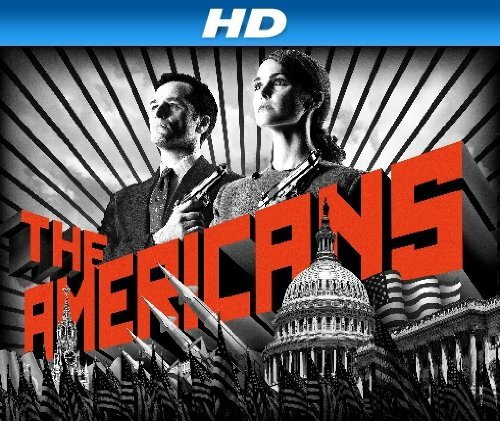 Quick Take: The Americans, "Trust Me"
Review: The Americans, "Trust Me"
(S0106) Trust is the bind that holds most relationships together. If you have it with people you never have to doubt them and their actions, but, once that trust is broken you can never look at a person the same way. This week every principle character of “The Americans” is battling with trust. While I thought last week there was something to Philip not mentioning to Elizabeth that there was a mole amongst them my suspicions were premature as the opening scene this week shows Philip informing her what Claudia told him. He decides to set up a meeting with Martha, his informant at the FBI who is enamored with Philip’s alter ego Clark even though he has made it clear to her that they cannot be together due to his position, to see what he can fish from her. Unfortunately he does not make to her apartment as planned since he is kidnapped off the street at a public payphone. Philip plays it cool with his captors even though they know everything about him, his family and his connections to the KGB. They even point out that his life prior to 1963 is hazy – at best. None of this breaks him – not even their torture tactics. They ask Philip for a list of all his KGB contacts, dead drop sites and KGB protocols. They even have copies of his passports, fake id’s and a recording of him speaking to Martha. It was at this point that I was convinced that this was all a set-up by the KGB to see if he would break and even though I had those suspicions I was still intrigued to see how things were going to play out. Meanwhile, back at home, Elizabeth hears someone in the house while she is preparing dinner. Watching her walk through the house with a knife was more like watching a horror film as opposed to a spy drama. The writers and directors did a great job of building up the suspense for what was going to happen. While she was able to fight off one of the intruders a second one knocks her out. She is ultimately taken to the same spot where Philip is but thrown into a small room with pictures of Paige and Henry in hopes of breaking her. After Philip is tortured a little more their captors bring Elizabeth out in hopes that watching Elizabeth being tortured with break Philip. They both say though that nothing will make them speak and that they would die before talking. Right before they begin to torture Elizabeth guess who calls off the whole thing… Claudia. As I suspected the entire thing was a set-up to see if either one of them was the mole. Even though I knew that was how this storyline was going to end it was still entertaining to watch. Understandably Philip and Elizabeth are appalled, especially Elizabeth who has been steadfast in her loyalty to the KGB and the Russians, and they turn on their captors. Elizabeth grabs Claudia and holds her head under water and then uses her face as a punching bag. Philip had to call her off. Philip and Elizabeth’s camaraderie is short-lived as it dawns on Philip that Elizabeth must have said something that tipped them off that made them think they could be the moles. Elizabeth tries to deflect the situation but Philip persists and she finally tells him that she did say at one point that Philip liked being in the United States too much. Philip is furious and he tells her so what if he likes it, it’s his job to fit in and she still doesn’t get that. It’s amazing how they can flip their feelings towards each other on and off so quickly. In the end Elizabeth goes to Gregory and asks him to be her eyes since she needs to know if she’s being followed. No matter what happens Elizabeth is always going to turn to Gregory when she’s in a pinch. What’s poignant though is that Elizabeth and Philip both lost trust because of this incident. Elizabeth is now left questioning the organization that she has trusted her entire life without hesitation and Philip is left wondering who Elizabeth really is. Can he ever trust her again? While all this is happening with Elizabeth and Philip Paige and Henry must fend for themselves when Elizabeth doesn’t show up to pick them up from the mall. Against Henry’s protests Paige decides that they will hitchhike and of course they are picked up by someone who doesn’t have their best interest at heart. He makes a pit stop to feed the ducks and drink some beer - even offering one to Paige. It finally dawns on Paige that they should get away from the guy but of course he’s not going to let them go that easy. Henry then springs into action and smashes one of the beer bottles over the guy’s head and they both make a run for it. If Paige had just listened to Henry they would have never been in that situation, but, the incident does bring them closer as brother and sister as they both agree not to tell anyone what happened. Seeing this I am reminded of something Elizabeth said in an earlier episode… That Henry is like Philip, a survivor, whereas Paige is more delicate, unlike her or Philip. The writers are definitely doing a great job of tying together little nuances like these. We can’t forget about Agent Beeman and his informant Nina. He goes to extreme lengths this week to protect her and prove to her that she can trust him. The feelings he has for her are definitely growing and getting deeper. He can barely contain his happiness at the end of the episode when he tells his wife how he saved someone. For the past two weeks his closing scenes have dealt with his wife trying to get closer to him and while he relishes in his relationship with Nina, hopefully this won’t be a weekly occurrence because I honestly think it’s unnecessary. We already know how he feels just from his daily actions. This week in order to protect Nina from Vasili, and ending up with a bullet in her head for being the mole, he orchestrates an elaborate set-up with illegal diamonds and a discrete camera to make it seem like Vasili is the mole exchanging information for the diamonds. Needless to say Vasili is put on a plane back to Russia and Nina remains safe and sound. How long can this really go on? I am eager to see what future episodes hold; even with the predictability some situations have the show is still intriguing to watch.